Article II of the Constitution states that once elected, a president serves a term of four years. It does not, however, define how many terms a president can serve. George Washington set the precedent that two terms was enough. This unwritten rule was followed until FDR was elected for a third term, and then for a fourth term. Congress decided that an amendment was needed to return to the precedent set by Washington. 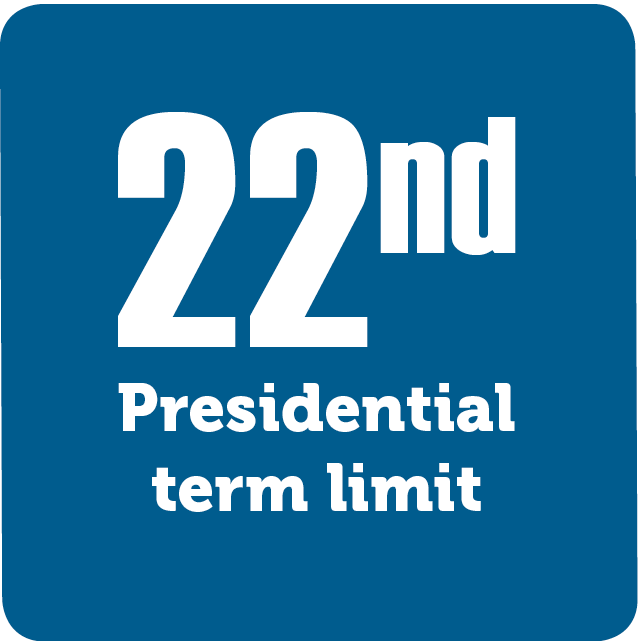 Now, a president can serve only two terms, or a maximum of ten years.